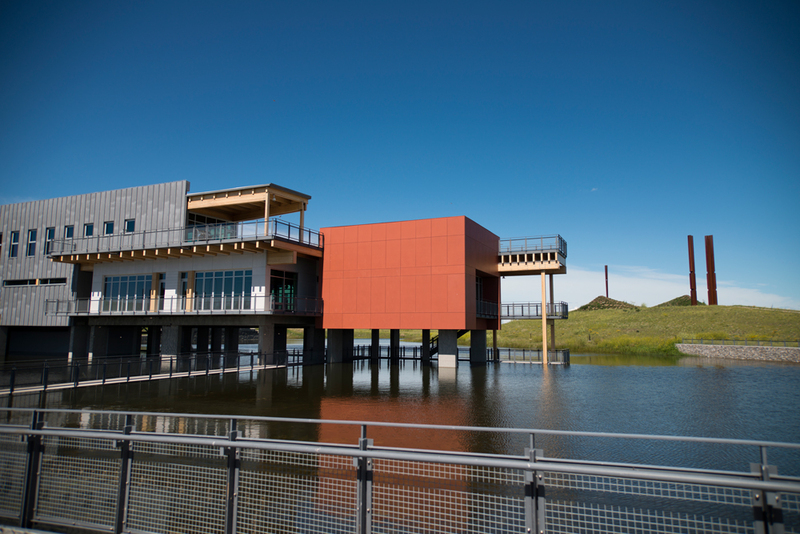 The centrepiece of this park is the Environmental Education and Ethics Centre standing on stilts in the wetlands. Location: 12350 84th St. S.E. Things to do: Walking, picnicking, birdwatching, nature exploration, special events. Good to know: The park is open 10 a.m. to 4 p.m. daily in spring and summer, with reduced hours in fall and winter. Dogs are not permitted in the park (except assistance dogs). 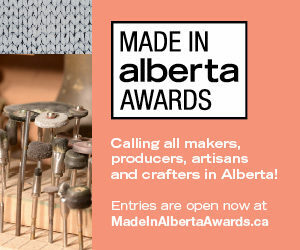 RKP aims for zero waste, so pack out anything you bring in. 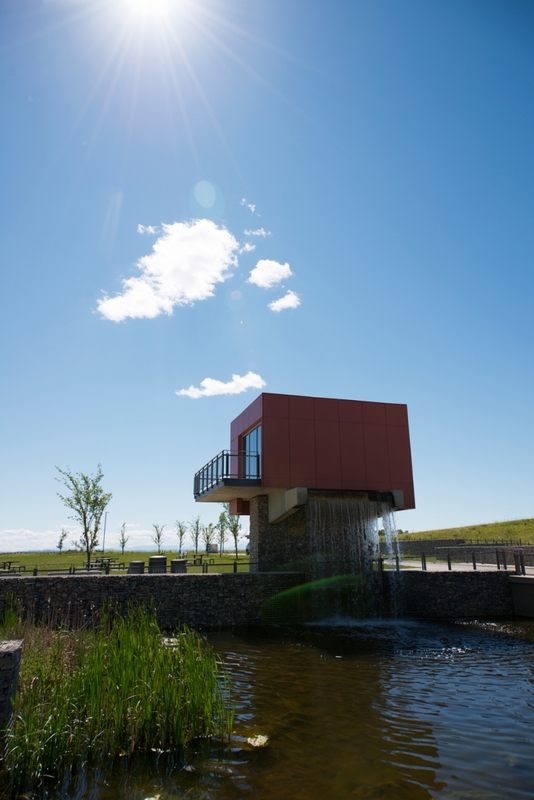 Ralph Klein Park is a natural environment park and manmade wetland. There are vast grassy meadows and big stretches of open water, where 46 different species of birds have been spotted to date. The Shepard Wetland that surrounds the park was built as a natural storm water treatment solution, with wetland plants and microbes doing the work of cleaning and filtering as storm water moves slowly through a series of wetland cells. In the centre of the park is the Environmental Education and Ethics Centre, a LEED Gold-certified building. The city runs educational programs for kids here throughout the year, but the building and park are bookable for special events. 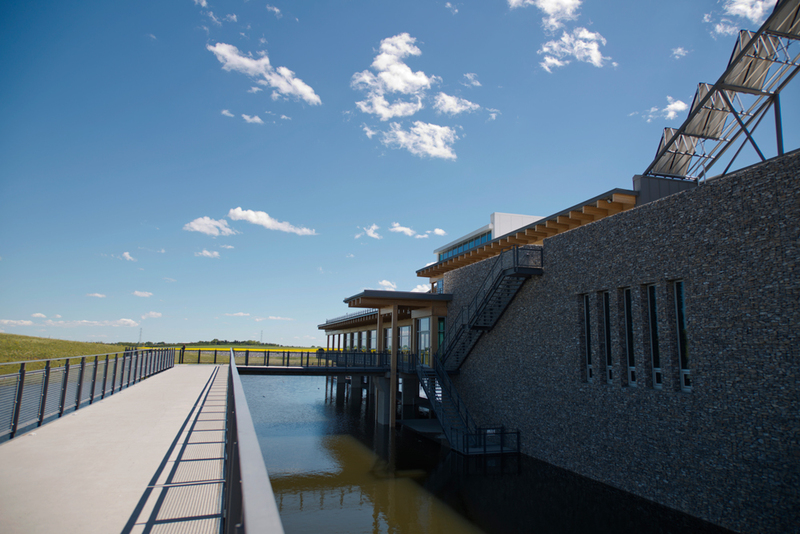 The Environmental Education and Ethics Centre (EEEC) is the stunning centerpiece of the park, standing on stilts in the wetlands. There are decks and viewing platforms wrapping all around the building from water level right up to the very top floor. The paths and decks around the building and the immediately adjacent community orchard are wide, paved, and accessible via ramps (outdoors) and elevator (indoors). What looks like a wall built of rocks in cages is a type of construction called a Gabion wall. You’ll see these all over the park, since these structures are ideally suited to helping direct water flow, resisting flood damage, and even becoming stronger with time as water plants grow among the rocks and sediment from the wetlands fills in the gaps. Inside the building is an interpretive area, with some interesting facts about Calgary’s water system and about wetlands. 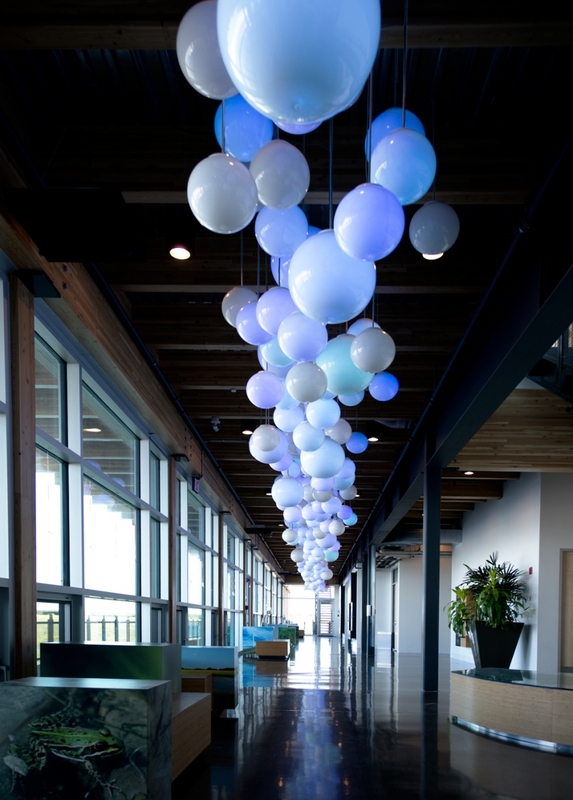 Overhead is a beautiful series of motion-activated lights that evoke the flow of water. 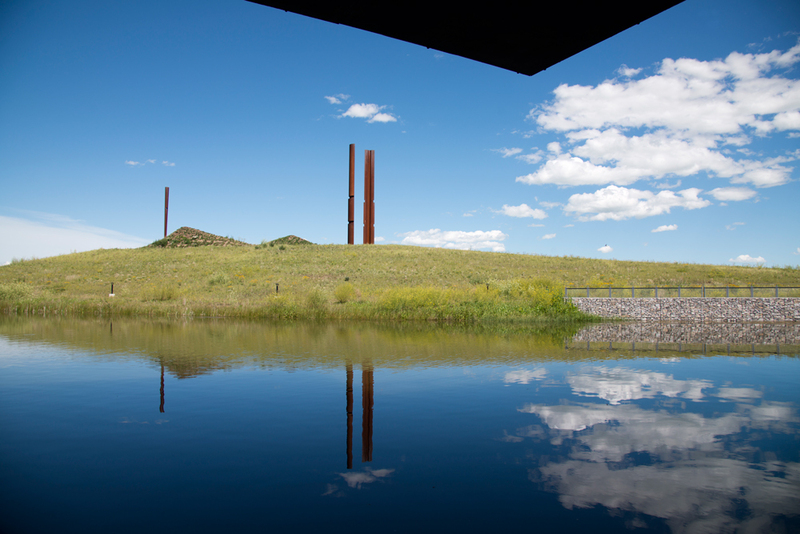 Inside the building you’ll see some Peter von Tiesenhausen prints from his 2010 public art work Passages, and outside (as seen here from the lower deck of the EEEC) is the monumental work Hawk Hill Calgary Sentinels by Beverly Pepper. Stand behind the waterfall on a hot day to catch a bit of cooling mist. West of the tower is a big grassy meadow with a path that will take you on a short stroll around the field. When you come back, just beside the tower there are plenty of picnic tables to spread out at if you’ve brought your lunch. For a longer walk, take the Grasslands Trail in a long loop starting from the north-east side of the parking lot. If you’ve got some time, bring a pair of binoculars and your patience, and do a little birdwatching. You can ask at the desk for a list of recently spotted birds, then head out and try your luck. You may see birds of prey like a Swainson’s Hawk or a Bald Eagle circling overhead. Or, in the water you might spot some ducks like the Cinnamon Teal, Northern Shoveler, or the American Coot. There are mammals about, too. 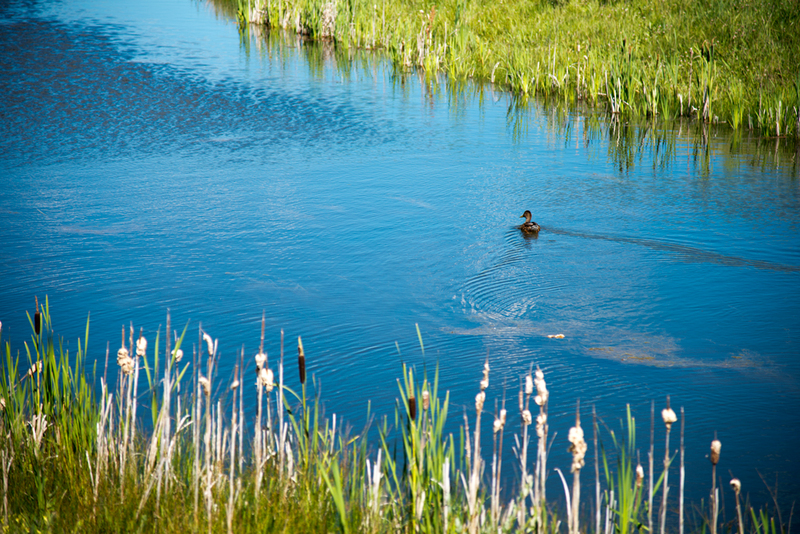 Muskrats are common wetland creatures often seen at RKP – they’re the ones that look like baby beavers. If you’re on the water-level walkway under the EEEC building, you’ll see the many nests of a large swallow colony overhead too.